Official Couple Alert??? Ian Somerhalder and Nikki Reed have been spending a bunch of time together and they’ve taken the next step…adopting an animal together! No, not a dog..A HORSE! 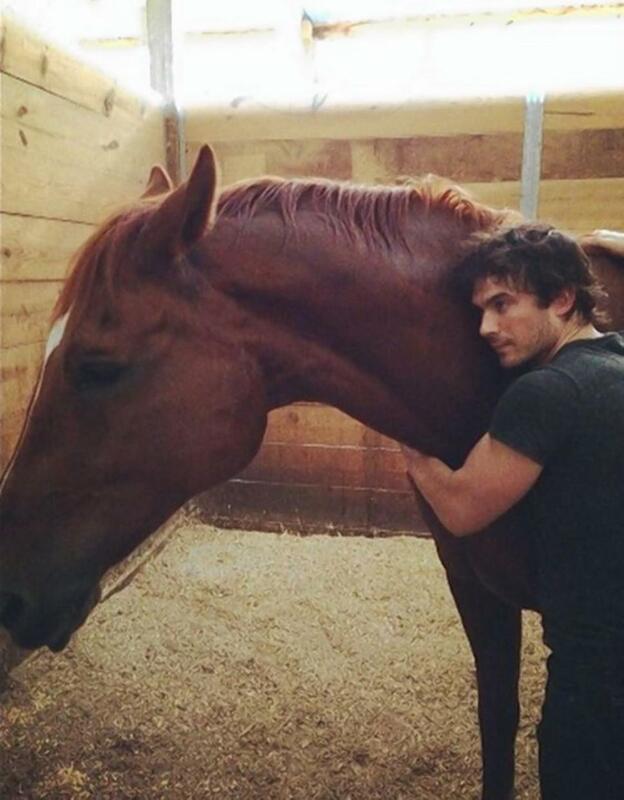 He shared the picture on Instagram of their new horse named Eagle and captioned it: . Notice the “our” awwww. What do you think of this new couple? p.s. anyone else out there still wish that Ian was Christian Grey?